The 150Fr Booklet System is Duplo’s entry-level collating and bookletmaking system. Integrating the DFC-100 Friction Feed Collator with the DBM-150 Bookletmaker, the 150Fr Booklet System offers a compact, cost-efficient finishing solution ideal for light commercial printers and in-plants as well as religious and educational institutions. The DFC-100 Collator feeds a variety of stocks including bond, NCR and some coated paper and also offers programmable features for greater productivity including block mode for on-the-run loading, interleave mode for separating batched sets, and a total or remaining counter for monitoring job progress. Each of the 10 bins comes equipped with three feed rollers and individual sheet separator adjustments for increased accuracy and reliability. Equipped with the Isaberg Rapid stapler and staple cartridge, the DBM-150 Bookletmaker produces a high quality, flat staple every time. Each cartridge holds 5,000 staples and wear parts are replaced each time the cartridge is changed out, providing a high level of reliability. 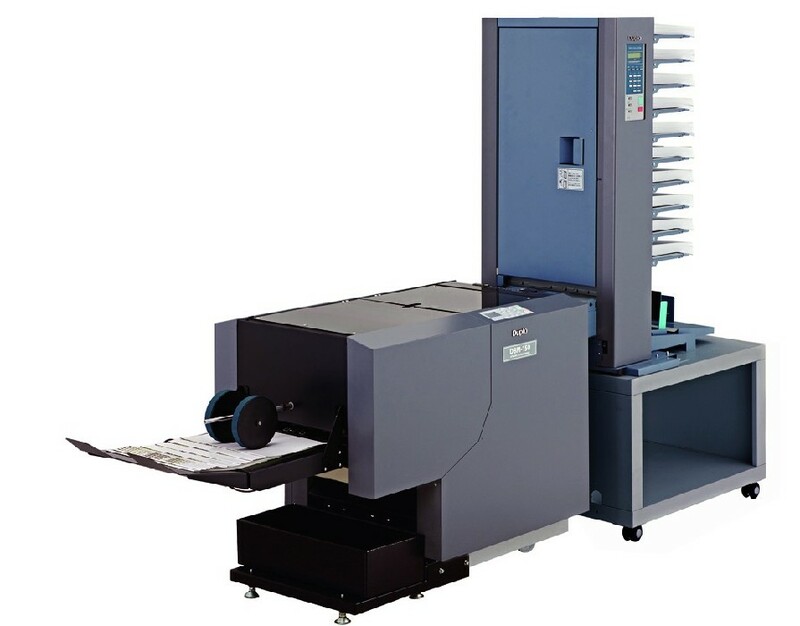 The DBM-150 produces corner and side-stapled applications as well as saddle-stapled and folded booklets up to 40 per minute.